—Eddie Rickenbacker (1890-1973) gained fame during World War I, when he shot down more enemy planes than any other American pilot. The “Ace of Aces” had more than 130 combat encouters and 24 confirmed kills. After the war, Rickenbacker promoted aviation in the U.S., and led Eastern Air Lines from 1933-1963. Prior to his military service, Rickenbacker had been a celebrity race-car driver and from the late 1920s to after World War II he chaired the Indianapolis Speedway. In World War II, he served as an aviation advisor, surviving the crash of his B-17 in the Pacific. Although he was a civilian, he took command and probably saved countless lives as the rescue took 22 days. He then continued on to meet General Douglas MacArthur to convey a message from President Franklin D. Roosevelt. The latest mass shooting was at a community college in Oregon on October 1st. A deranged shooter killed ten and wounded seven before being cornered and committing suicide. The phenomenon of of mass murder by disturbed gunmen has become a peculiarly American disease. In response, President Obama commented upon how “routine” these atrocities had become and added: “This is a political choice that we make, to allow this to happen every few months in America.” We the people don’t allow anything to happen. Following the carnage at Sandy Hook Elementary School in Newtown, Connecticut in 2012, President Obama had proposed legislation that, in-part, closed loopholes in the backgound checks for private gun purchases, and banned military-style assault weapons and large-capacity magazines. There was rare optimism about the fate of the proposal, because parents of Sandy Hook victims lobbied Congress and the crime had provoked national revulsion. In one survey, 85% of those polled–both Democrats and Republicans–favored background checks for private and gun-show sales. Yet, in April 2013, the Senate voted to reject every aspect of Obama’s plan. Frontline, the excellent PBS documentary series, analyzed the role of the National Rifle Association in the legislation’s defeat. The 54-minute film is a primer in how the NRA has become the most effective lobbying group in the nation, an organization that routinely nullifies democracy. Meanwhile, mass shootings continue unabated and government, as in so many other areas–is paralyzed and unresponsive. About 15 years ago, my wife and I decided that we had enough play money to vacation with our daughters for a few weeks in London and Paris. In the City of Light we stayed at a funky, authentic hotel on the Left Bank. 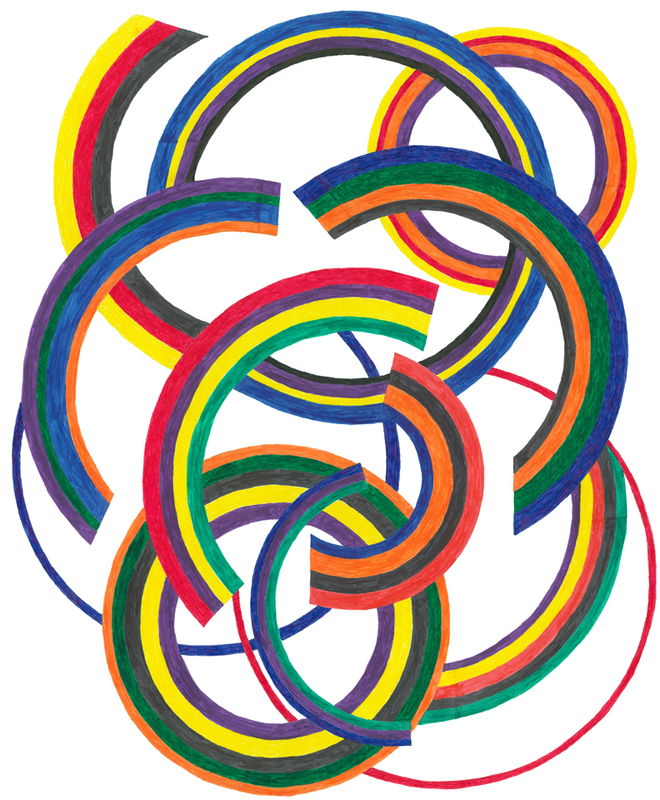 Down the block I discovered a poster shop and a print I loved called “Circular Shapes” by the French artist Robert Delaunay (1885-1941). I splurged and bought the print which hangs in my New York City apartment. 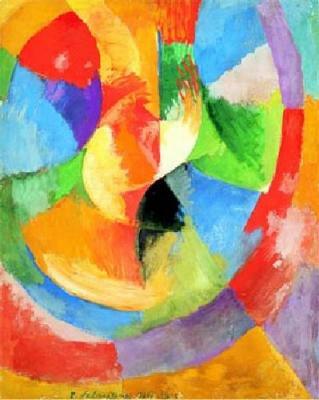 When I began to create my own art, one of my pieces seemed to owe much to Delaunay’s work, created a century earlier. That’s why I titled my piece, “Homage to Delaunay.” “Homage,” and more than 20 other pieces, are available as prints in the WordsandAbstracts shop on Etsy.com. The first concert I ever attended featured Peter, Paul, and Mary. For many baby boomers, folk was the entry point into a lifelong passion for music of all types. Last year, I came upon an irresistible piece: “20 Great Folk Albums to Add to Your Indie-Rock Collection.” Jim Vorel–music/news editor at Paste Magazine--created a well-written and comprehensive collection that turned me on to The Wailin’ Jennies, a Canadian folk group out of Winnipeg. Their 2004 cd, “40 Days,” is gorgeous with fine vocal harmonies and superb musicians. Also on Vorel’s list was Sarah Jarosz. Ms. Jarosz sings; is a virtuoso instrumentalist on the guitar, mandolin, and banjo; and writes many of the songs she performs. Her latest album “Build Me Up From Bones” (2013), received two Grammy nominations, including one for “Best Folk Album.” Texas born, Jarosz has appeared twice on Austin City Limits, made her late-night television debut on Conan, and has toured extensively. I discovered her in an NPR “Tiny Desk Concert.” It’s a cliche that “music soothes the savage beast.” But no matter how down I’m feeling, after listening to Jarosz’ current album–or her previous one, “Follow Me Down”–I feel better. 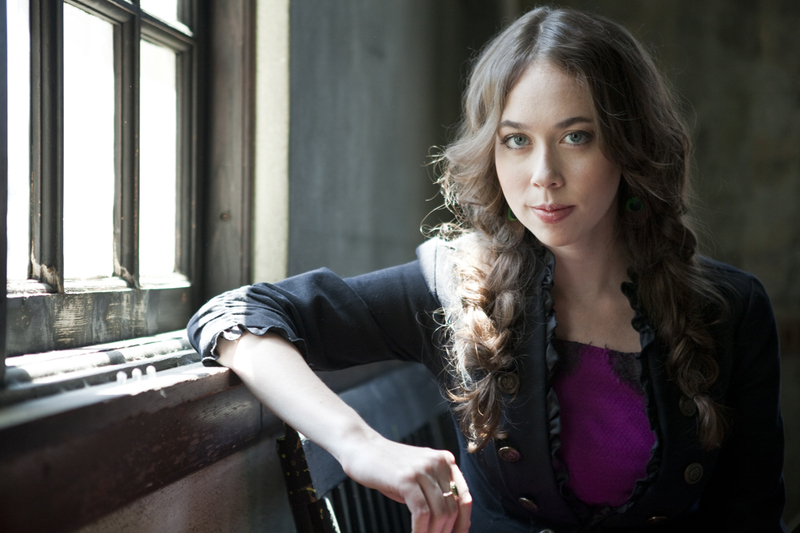 There are only a few musical artists that can work that kind of magic, and Sarah Jarosz is one of them. The Points of Color blog by Ken Handel will appear weekly. Please send comments/suggestions to WordsandAbstracts@gmail.com. To subscribe, please send the message, “Please send Points of Color to my e-mail [__Please Insert Your E-mail Here_________________________] whenever it is distributed.” Send to WordsandAbstracts@gmail.com.